Balz Müller aka RADICULO is a very active person. He lives in the landlocked country of Switzerland and works as a landscaper for Schwab Gartenbau AG nearby Biel. Besides his job Balz loves to follow his dream, the freedom, his parallel world, the windsurfing. 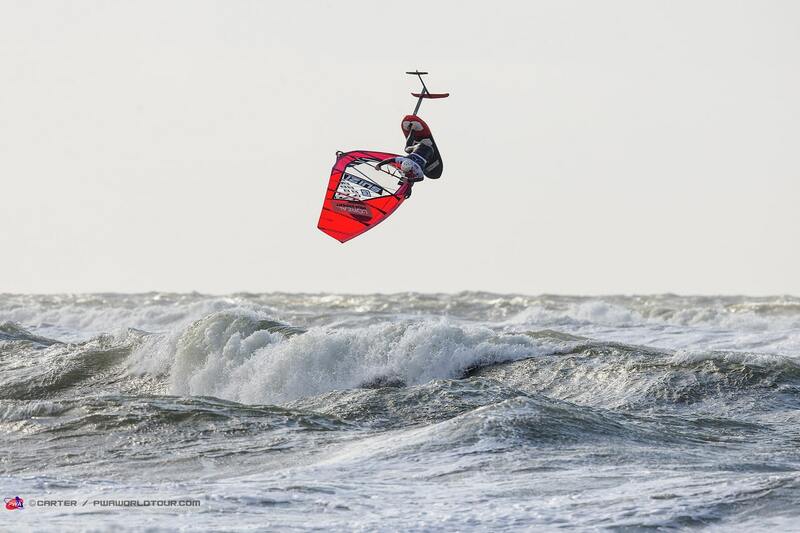 A few years ago he started to revolutionize freestyle windsurfing with crazy move creations. He invented the Shifty and pushes freestyle to its limits. He sails in temperatures below 0°C in heavy snowfall, spins through Takas on the waves at his his home spot Lake Biel or goes for massive jumps at the lake of Uri in the middle of the Alps. Now he picked up the latest trend in windsurfing, wind foiling. Of course he wasn’t interested to just race around race courses. He created FOILSTYLING, freestyle windsurfing with a foil. This technical advantage allows him to gain more air in light wind conditions. He and his brothers are fully into foilstyle at the moment pushing the discipline. „Everyday is another chance to ignite! I‘m addicted to this universal feeling called foil!“ But please keep your helmet on Balz! Continentseven: Hi Balz, when did you start windfoiling and were you hooked right from the beginning? 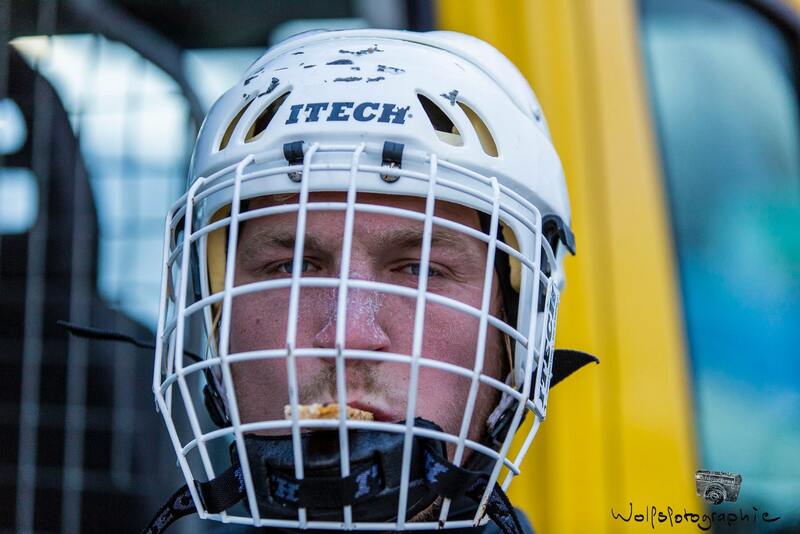 Balz Müller: I made my first flying experience 2 years ago in Sylt, at the World Cup. But only last year I got my own foil which was crazy because I was hooked from the very first moment I flew. I knew it would be a game changer at my home spot Bielersee which offers often frustrating normal windsurfing but perfect foiling conditions. Continentseven: You created a new name: foilstyling. Balz Müller: For me it was sure I want to combine freestyle with foiling. It’s a big challenge and on the same time very nice to learn all the freestyle moves all over again. Continentseven: What do you like about foilstyling? 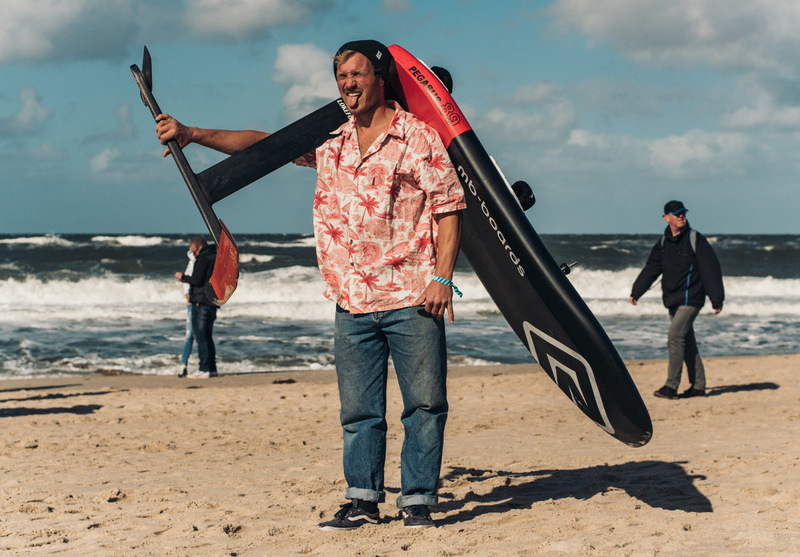 Balz Müller: Simple, I’ve never been windsurfing as much as the past summer. Almost everyday there was the possibility to get a short flight on my hydrowings and if you haven’t tried it yet, you can’t imagine how nice it is to just hover over the water like a bird swinging in peace and silence through the calm nature. And when I hear whitecaps breaking under my board then I find my self daydreaming. Continentseven: What are the pros and cons of windfoiling and windsurfing? Balz Müller: I see a lot of bad reactions about the growing foilingsport. For me windfoiling is not another sport. It is just a new windsurfing discipline with another fin. I know windfoiling has a lot to offer to turn even weak conditions into a great day on the water! I don’t want to judge any pros or cons in the end. It’s just about getting out there and having fun.. and with or without foil should be everybody’s own decision. Continentseven: How difficult is it to to land a freestyle move with the foil gear? Balz Müller: Hoho if you would have asked me like 6 months ago I was sure it’s never gonna be possible to land any tricks but we were proved wrong. Sure it never will be easy to land smooth! And right now all my ankles feel and move like the ankles of an unlucky grandpa! 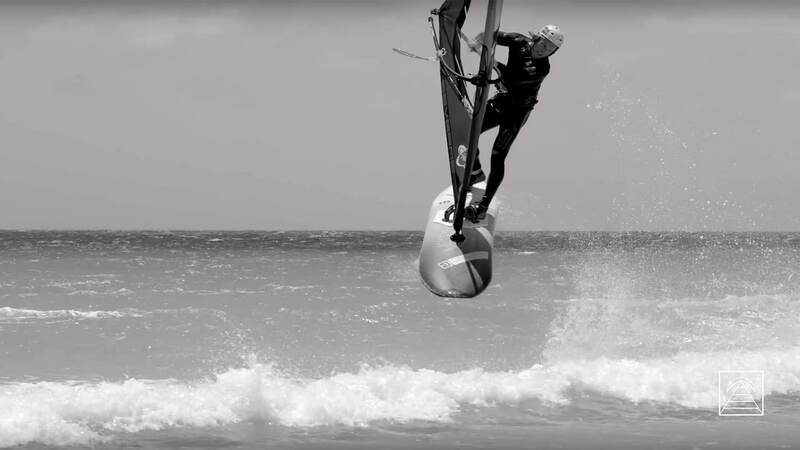 Continentseven: Does foil boarding help your freestyle windsurfing? Balz Müller: I would say foiling really helps my board control in general! As it’s super tricky to balance on those wings you really feel all the small muscles in your legs. That for sure helps you to be more effective with the normal fins as well! I’ve never felt as fit as right now. All that pumping in really light breeze is definitely a great core training! Continentseven: The crashes often look nasty. Is foil boarding a dangerous sport? 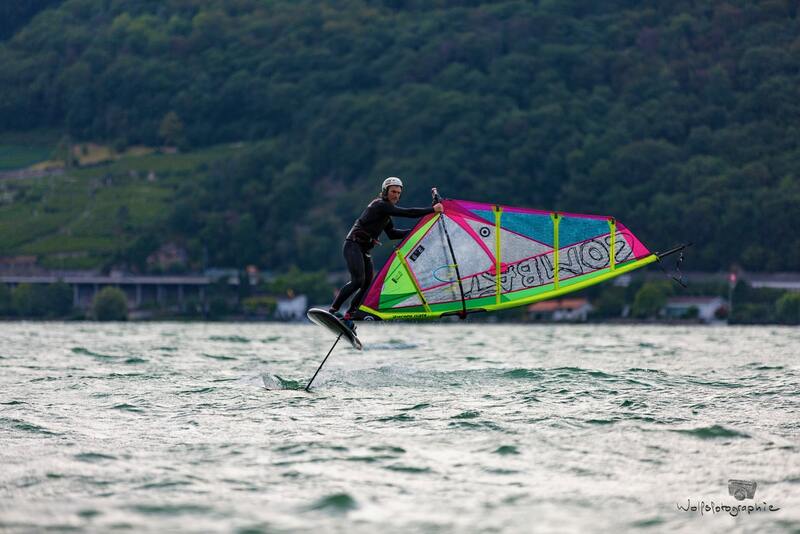 Balz Müller: Houlii, foilwings are sharp blades and it’s super easy to lose control on a foil. So it’s definitely a very dangerous sport! But to be honest I didn’t hear about any bad injuries in windfoiling yet! I also need to say windfoiling is much saver compared to other foilsports.. as the base joint and sail don’t let our windsurfing boards spin that easy upside-down like it happens likely in SUP, surf or kite foiling. Continentseven: Are you not scared to get injured? Balz Müller: Sure I got nightmares thinking about what could happen. It may look like I’m retarded pushing all this moves on the foil, but you need to understand I’m dreaming and visualizing all those moves before sending them and hope to be lucky. If you’re 100% focused and don’t forget with what your playing with it’s not that dangerous. I mean a normal fin is also damn sharp. Need too add all my cuts yet happened getting in or out the water -waterstarting and not while trying Foilshifty etc.. and I’m more scared to get washed with my foil in the shorebreak of Sylt than trying a foil double Forward. Continentseven: How expensive is your new hobby? Balz Müller: Sadly it is still a super expensive accessory, but I tell you all the money I invested into foiling was it worth since my first „flightseconds“. Continentseven: But you still don’t have a foil sponsore, yet? Balz Müller: Currently I have no foil sponsor! Last year I spent as much money into windsurfing as never before, buying all those carbon hydroplanes. But I’m working full-time as a landscaper and saving up money living low budget to get on the water as much as possible – to my freedom place where I forget about all troubles and money! Continentseven: You shape your own boards, right? Balz Müller: I’m lucky to realize all my board dreams with the great support of the MB Board team and of course the high standard board production of Flikka where we produce. So it happened with the Pegasus, my latest wind foiling board! Continentseven: Please give us some infos about your freestyle foil setup? Balz Müller: I’m using the Lokefoil envol17. It’s one of the most stable foils I ever rode. Of course I broke quite some masts and wings so I’m more surprised how much my Lokefoil is performing! Honestly I think all those pearl-divers should start searching for foils, haha. With MB we produced the Pegasus wich is a pure foilboard with a base position around 15cm further back than on a normal windsurfing board! That brings all the weight more back on the wings and produces more lift! That’s one of the most important tips I can send out to all the foil community! Put your sail and straps as far back as possible as it’s easier to control a foil which is always on the lift (and you need to push it down) instead of leaning back and push it up with your back leg. Further I want to say you don’t need a race foil under a 75cm freeraceboard and 9m2 sail to get foiling in 15kn. I love using my normal freestyleboard with center straps to fly on (we also produce the 98l with deep tuttle box now). And as long as you don’t wanna reach an upwind racemark there is no reason to use a big race sail! I would rather (even) say I get up flying earlier on my super light 4.8m than with a heavy „unpumpable“ racing sail! So get a freewave 100l board, which you can use for normal sailing as well and use your normal 4.7-5.6 freestyle/wave sails. You will be blasting around on a foil in the lightest breeze! Continentseven: In foilstyling there is no one who will beat you at the moment. How is that feeling to be on top in a sport? Continentseven: Would you wish to have freestyle foil boarding competitions or do you prefer to keep it like it is at the moment? Balz Müller: Good question, sadly I think making a competition would be the only way to get more reaction from the latest top freestylers, because it’s funny to see that none of them are really trying it actually. So if a competition would be a reason to get more riders pushing the foilstyling we need to make it happen. I think next season we wanna call an event the world championship. PFA Professional Foiling Association 🙂 I know as soon as Yentel will get his foil board he will push it. He is mad about it and motivated to send it as well. But are so the others? I think it will happen! Because lifting those wings gives you a simply insane feeling and there is still so much to discover. Foil double Culo is 120% possible! Guys so coooome on! Continentseven: If you arrive at a spot with 15 – 20 knots of wind and choppy conditions, are you going to grab the foil or the windsurfing setup? Balz Müller: No question, on the foil, because I can boost myself in the craziest air move like normally while sailing my small sails fully stacked. I mean I prefer it the most these days. Continentseven: Do you think the foil movement is a trend or do you think it will stay? Balz Müller: In Switzerland it’s here to stay for sure! And I really like how it connects us closer to the sailor and other watersport-activities. I never reached as much reaction before. And I laugh about all those (nonwindsurfing) people telling me they wanna try windfoil as well, and I have to explain them they need to learn windsurfing in straps first. So in the end I think it will even get more people in our sport and it is another great windsurfing discipline to stay! Continentseven: Thanks for the interview! Check out the latest videos, moves and articles from Balz. Balz is Foil King!! Go high Suis-Foil-Crazy-Style!! !